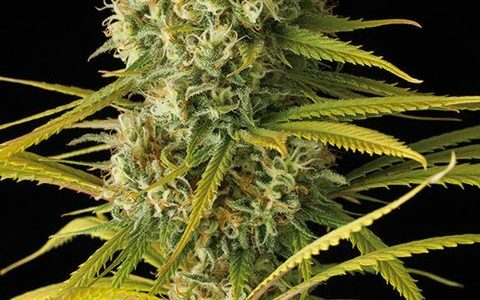 Original Amnesia cannabis seeds by Dinafem Seeds belong to a feminized, Sativa-dominant cannabis strain obtained by crossing two Original Amnesia. It is a first-class Sativa that flowers in record time. Considered the queen of Dutch coffee shops, Original Amnesia owes its success to its unique flavour and aroma and its attractive yields. It is an easy-to-grow, medium-sized/big marijuana plant that grows vigorously and fast, yielding hard, compact buds soaked in resin. Moreover, it copes well with mould and pests. Original Amnesia is a feminised cannabis seed that provides good results indoors with a short growth, particularly in a SOG system. Outdoors it responds best to temperate/Mediterranean climates and to the greenhouse. Do not overfeed the plant as doing so could alter its superb flavour. The flavour and aroma of Original Amnesia are pronounced, with hints of lemon, Haze, incense, cedar and spices. The effect is powerful, cerebral, euphoric and uplifting at first, evolving then into a narcotic stone. A great cannabis strain to share with your friends.